Find information on CDL Classes, Endorsements, steps on getting a CDL, study materials, cost, and steps to renewing a CDL. 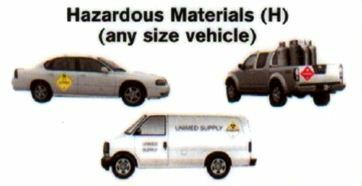 provided the gross vehicle weight rating (GVWR) of the vehicle(s) being towed is in excess of 10,000 pounds. or any such vehicle towing a vehicle not in excess of 10,000 pounds GVWR. 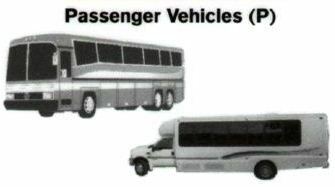 If you road test in a bus over 26,000 GVWR (but not a tractor-bus trailer combination), you will be restricted to "No Class A Passenger Bus". A road test in a Class A Bus is required to obtain a valid license to operate one tractor-bus trailer combination vehicle. Required to operate a school bus designed to transport 16 or more passengers, including the driver, and is used to transport pre-primary, primary, or secondary school students from home to school, from school to home, or to and from school related events. 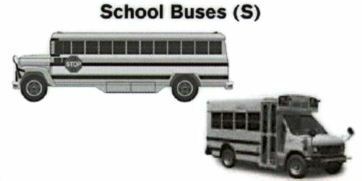 School bus does not include a bus used as a common carrier. If you road test in a school bus under 26,001 GVWR, you will be restricted to "No Class A or B Passenger Bus". 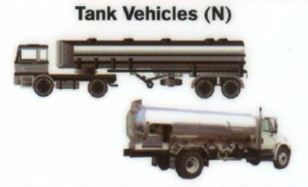 but will restrict the CDL to “No Airbrake Equipped CMV” or “No Full Airbrake Equipped CMV”. To avoid the restriction, the driver must have successfully passed both a knowledge and road test in a vehicle equipped with either a full or partial airbrake system. ND Drivers License Sites, apply in person, pass the required knowledge test(s) for the CDL Class to be driven, and purchase a Commercial Learners Permit (CLP). Prior to testing, you will always need to present your current Driver License, proof of legal presence, proof of residence address, make an application, and pass an eye examination. Proof of Identification is Required. Demonstrate your ability to operate the vehicle by passing a road test in a representative commercial vehicle. A road test cannot be scheduled without a valid CLP which must have been earned at least 14 days prior. 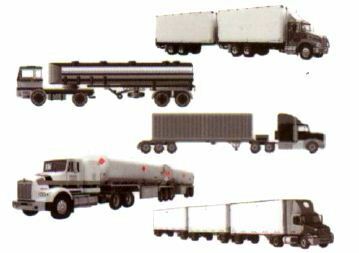 You will need to study the Commercial Drivers License Manual to prepare you for the required tests. 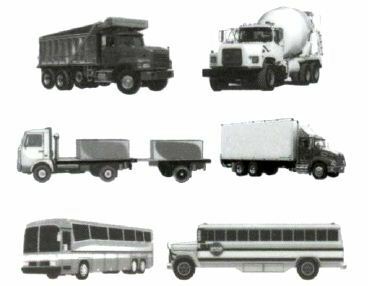 Section 1 in the manual contains a chart indicating which sections of the manual you will need to study for the type of commercial vehicle you plan to drive. provided the gross weight does not exceed 50,000 pounds. farm machines or farm supplies to or from a farm within 150 miles of the person’s farm. 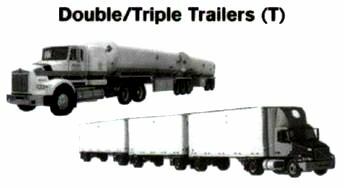 Farm vehicle may tow a trailer semi-trailer or farm trailer except double, triple trailers or if under 18 years of age, a truck tractor. Any farm vehicle operated by a farmer may transport hazardous material within 150 miles of the farm without a hazardous material endorsement on the operator’s license. The farm exemption applies to farmers from adjoining states if there is a reciprocity agreement. North Dakota has reciprocity agreements for Farm CDLs with South Dakota, Minnesota, Montana, and Wyoming within 150 miles of the farm. For more information, contact Highway Patrol. Federal Motor Carrier Safety regulations require all Commercial Driver License (CDL) drivers to present proof of citizenship, lawful permanent residence, or legal presence (temporary status) AND proof of North Dakota residence address (place of domicile). When you come in to renew your license you will need to show the Driver License Examiner at least ONE of the Proof of Citizenship, Lawful Permanent Residence, or Legal Presence documents listed below, your North Dakota CDL license, and at least ONE of the Proof of North Dakota Residence Address (place of domicile) documents listed below. Proof of Citizenship, Lawful Permanent Residence, or Legal Presence in the United States - Only these documents are deemed acceptable. Note: No photocopies. No hospital certificates. All documents must be original or certified copies only.